The NRA Annual Show is coming up next week, running Friday, April 25th to Sunday, April 27th. If you are anywhere near Indianapolis, Indiana during that time, please be sure to visit the show and make sure to see Windham Weaponry at Booth #4201. We will be showing an extensive line, including new models, a variety of camo patterns, wood stocked models in .223 and .308 calibers and our new 20″ Gov’t. rifle. Since some AR15 style rifles come with a triangular handguard cap, some users might find it necessary to change the handguard cap to a round style. This is necessary if an aftermarket handguard is purchased that requires the use of a round handguard cap. Currently we sell two rifles that come standard with a triangular handguard cap, our base model .308 SRC and our 20″ gov’t rifle. Many handguards, such as the Magpul MOE handguards for example, will fit either round or triangular. But if you purchased a handguard that is specifically made to fit a round handguard cap and you have a triangular one, here’s how to change it out. First make sure the rifle is unloaded. Then push the takedown pin and pivot pin out and remove the upper from the lower receiver. Remove the bolt carrier and charging handle (see page 14 of your Windham Weaponry Operating and Safety Manual). Then remove the handguards as shown on page 23 of the manual. Now remove the flash hider with an open end wrench. If you have a ban compliant gun that has a welded muzzle brake, stop here as those cannot be removed. Secure the end of the barrel in a padded set of barrel jaw blocks in a vise and turn the flash hider counter-clockwise (a vise padded with wood will work too, the flash hider only needs about 15-20 foot pounds of torque for removal). Remove flash hider and crush washer and set aside. Set gas block on a hammer handle or other similar piece of hard wood so that the taper pins can be driven out of both sides. Taper pins must be driven out from left to right as shown (from the small end of the taper pin). Use a wide flat punch to start the taper pin and push it in flush, then use a 1/8″ punch to drive them all the way out. Spray a liberal amount of oil on the outside of the barrel and at the gas block area. With a wooden or plastic mallet drive the gas block/gas tube assembly off the barrel. Remove the triangular handguard cap and replace it with the round one. Wipe any grime off the barrel and gas block then re-oil the barrel. Put the assembly back on the barrel and line up the taper pin holes. Drive the taper pins back in the way they came out through the right side. Make sure the holes are lined up well. If they don’t seem to be going back in, drive them out and realign the holes and start again. Reinstall crush washer and flash hider, install your new handguard and you are done. What does MPC, HBC and SRC mean ? We get asked these questions about Windham Weaponry Rifle names frequently. Good Morning! I didn’t know whom to send this email to so I am sending it to info@. I wanted to tell you my story. In the mid 80’s I purchased a Colt AR-15A2 Sporter. Over the years I have watched and drooled over carbine versions of this popular platform as it evolved. I took note of the names I considered “major manufacturers” and paid attention to them. Of course, Bushmaster was among the most highly recognized and popular lines. My interest has peaked over the past few months and I began to seriously consider making a purchase. Having ordered from Cheaper Than Dirt in the past, I returned to look at their Tactical Rifle lineup. As I glossed over the brands they were carrying, my eyes keyed on a name I was not familiar with, Windham Weaponry. Out of curiosity, I went to your website and began researching. 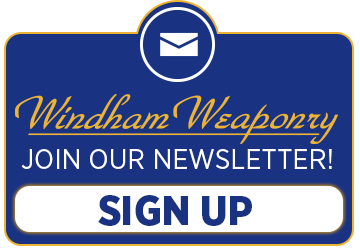 Of course I looked at your Product Line, then went to “The Windham Weaponry Story”….. I had missed or forgotten that Bushmaster had been sold and the changes that had taken place. I read the introductions for the members of the Windham Team and looked at your years of experience and employment in the shooting industry. I knew the fine reputation that Bushmaster had over the years but to see what Mr. Dyke had done to start the Windham Weaponry Company and work to rehire longtime, loyal employees sold me. Yours would be a new company, with a fresh start, fresh vision, experienced employees, a familiar environment with great leadership. That recipe is always successful and produces fantastic results and equal fantastic products. Well, that sold it for me. I had already spoken with a licensed dealer friend of mine and had read reviews online, including a March 2012 article on your SRC in American Rifleman magazine. I have not received my SRC yet, having only ordered it 48 hours ago but I am anxious to take possession of it. As you (hopefully) can tell, I am excited but I really wanted to share this story with you from my personal viewpoint. Windham Weaponry truly is a Phoenix, rising from the flames. Yours is a story of vision, of American Capitalism at work, freedom and free enterprise. This is what has made America great in the past and what we so desperately need now in our nation. I would like to shake Mr. Dyke’s hand and thank him for what he has done and the example he has given anyone caring to look at what success and determination is. I am a proud Windham Weaponry owner and proud to support your fine company with my purchase. Windham Weaponry, Thanks for the most recent newsletter, I look forward to reading it as soon as I can. I think it can be seen in the newsletter what makes W.W. an outstanding manufacturer, and leader in their respective field, it’s the people that work there, they are the reason I have been doing business with this company from way back when they were “Bushmaster”, this is just a slice of the America that I love. keep up the good jobs! This is a quality, U.S. made, low profile design flip-up sight of 7075 aluminum and steel parts intended as a primary or back-up iron sight (BUIS) for installation on any same plane picatinny (MIL-STD-1013) railed gas block or accessory forend. A socket head screw from the left side clamps the right side locking plate to the rail for a secure mounting with no loss of zero. The sight can be deployed by simply flipping it up to its locked position. A left side push button will unlock the sight and fold it down. Height above rail when folded is .520″. The sight includes a standard A2 front sight post, adjustable for elevation. The post can be adjusted with any standard front sight adjusting tool, and is protected by machined aluminum ears on each side. This sight has passed a 10K round endurance test, as well as a salt spray environment test. The aluminum sight base is mil. spec hard coat anodized and steel parts are black salt bath nitride coated to provide superior corrosion and wear resistance. This U.S. made flip-up sight is a quality, low profile designed unit machined from 7075 aluminum with steel parts. For use as a primary or back-up iron sight (BUIS) for installation on any AR15/M16 picatinny (MIL-STD-1913) receiver rail, it clamps securely with a socket head screw from the left side and a locking plate on the right side. The aluminum sight base is mil. spec hard coat anodized and steel parts are black salt bath nitride coated for superior corrosion and wear resistance. The sight can be deployed by simply flipping it up to its locked position. A left side push button will unlock the sight and fold it down repeatedly with no loss of zero. Height above rail when folded is .520″. A dual aperture system offers quick target acquisition with the larger “ghost ring” aperture, or long distance accuracy with the finer “peep” aperture. .5 MOA windage adjustments are made via a coin sized slot in the right side adjusting wheel. It’s hard to believe that we are already into the month of April. It sure has been a long cold winter here in Maine, but that hasn’t slowed LE sales down at all. I will be traveling to a few shows this month. The first is going to be right in my backyard here in Portland Maine. I will be attending the Northeast Fish and Wildlife Conference. It will be held at the Holiday Inn by the Bay right in downtown Portland. It will run from April 13th to the 15th. I will be off to the NRA show in Indianapolis, IN from April 24th-27th. Our booth number is #4201 so if you plan to attend the show please stop by and say hello. We also have some great training opportunities coming up, so please check out http://www.windhamweaponry.com/le/training.asp for some of the classes that we have scheduled. We will be hosting a special seminar called Advanced Firearm Technology, June 17th/18th as well as another Armorer’s Course, June 10th/11th, here at the factory. 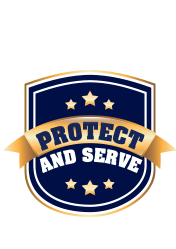 Sherrie has been active in the firearms industry since 1998. She starting working at Bushmaster in December 1998, having come from Mr. Dyke’s office supply company, Martin’s Office Products, where she worked for 4 years previous. Sherrie worked for Bushmaster for 13 years, starting in the invoicing department and worked her way into the purchasing side of the business. She joined Windham Weaponry when it was assembled in July 2011 as Purchasing Manager. Sherrie prides herself on her ability to connect, develop and maintain strong business relationships with suppliers, adding “There’s always room for new friends and family.” Sherrie is eternally grateful for all of her career opportunities with Mr. Dyke over the years. Outside of working Sherrie enjoys traveling to Florida annually with her family, as “family vacations are priceless.” Sherrie grew up in the trucking industry and used to travel with her father and brother in her childhood and teenage years up and down the eastern seaboard. Other interests include fitness, camping and spending time ocean side. Sherrie resides in Standish, Maine with her 2 daughters, Morgan and Julia, and her fiancé, Harvey.